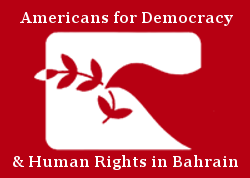 On Tuesday 25 September 2018, at the 39th session of the United Nations Human Rights Council, Americans for Democracy & Human Rights in Bahrain (ADHRB) delivered an oral intervention during the Item 9 General Debate on the Durban Declaration and Programme of Action. In the intervention, ADHRB raised concerns over ongoing discrimination perpetrated by the Bahraini government against the country’s majority Shia population. This discrimination affects nearly every aspect of life, ranging across religious, social, political and cultural rights, and is marked by the government’s targeting of Shia leaders and clerics. Continue reading for the intervention, or click here for a PDF of the text. Alsalam and ADHRB remain concerned over some States’ continued disrespect for the Durban Declaration and Programme of Action’s call to protect individuals from discrimination. For example, Bahrain has long discriminated against its majority Shia population in a manner that affects nearly every facet of public life ranging across religious, social, political, and cultural rights. The government has moved to suppress Shia religious, social, and cultural symbols and figures by targeting Shia leaders and clerics; arresting, detaining, and sometimes deporting them. This disturbing trend has continued this month when the government summoned or detained at least 20 prominent Shia religious figures, and targeted religious commemorations around the Ashura holiday. Leading religious figures have faced particularly harsh treatment. Religious scholars Sheikh Mohammed al-Miqdad, Sheikh Abduljalil al-Miqdad, and Sheikh Saeed al-Noori were sentenced to life in prison for their activism in 2011 protests. Sheikh Hussein al-Najati was denaturalized and deported in 2015, and Sheikh Isa Qassim, one of the most prominent Shia leader in Bahrain, was also arbitrarily denaturalized. The government has sentenced many other Shia human rights and political activists to prison for their activism and outspoken criticism of the government. They include Sheikh Ali Salman of Al-Wefaq, Mohamed Habib al-Miqdad, and Hassan Mushaima. We call on all states, including Bahrain, to uphold their commitments to the DDPA and to end discrimination against vulnerable groups and to respect international standards concerning the right to freedom of religion.